Below are the key provisions in the Heritage Conservation District Plan. The full Plan is available here and should be consulted for the definitive expression of these provisions, and for other details. Properties in Rockcliffe Park have been scored on a scale from 1 to 100 to reflect the extent of their contribution to its heritage character. Those scoring 50 or more are called Grade I properties. Those scoring less than 50 are Grade II properties. Information on the scoring of each property can be obtained from the Heritage Services Section of the City at heritage@ottawa.ca. Demolition of Grade I houses will only be permitted in extraordinary circumstances such as fire or natural disaster. Larger lots with Grade I houses cannot be divided. The retention of Grade II houses is an objective of the Heritage Plan. However, demolition of Grade II houses may be considered based on an assessment of their historical and architectural significance, their contribution to the historic character of the streetscape, and the appropriateness of the proposed redevelopment. Demolition will be permitted only where the house is of little significance and the proposed new house is sympathetic to the traditional surrounding natural and cultural environment and meets all provisions of the Heritage Plan. 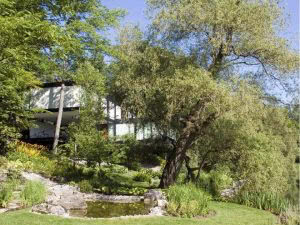 From the beginning, varied lot sizes have been part of the heritage character of Rockcliffe Park. The retention of existing lots, large and small, is important to the preservation of that character. New lots created through severance or by joining smaller lots together must be consistent with the general lot sizes in the same block, and not be smaller than provided by the zoning bylaw, in order to respect the character of the streetscape. Larger lots with Grade I houses cannot be divided. New houses must not detract from the historic landscape characteristics of the block in which they are situated. Their height and mass must be consistent with, and their siting and materials must be compatible with, the Grade I houses in the same block. 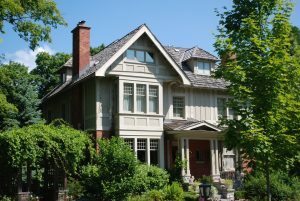 Where there are no Grade I houses in the block, their height and mass must respect the character of the existing historic houses and cannot have a negative impact on the streetscape or the heritage character of Rockcliffe Park. Such situations will be reviewed on a case-by-case basis by the City in consultation with the Rockcliffe Park Heritage Committee. The use of natural materials such as stone, real stucco, brick and wood is important to the heritage character of Rockcliffe Park – materials such as vinyl siding, aluminum soffits, synthetic stucco, and manufactured stone are not permitted. Modern materials such as plastic or fibreglass to replicate architectural details such as columns, balusters, or bargeboard are not permitted. If brick or stone cladding is used, it must extend to all facades of the house. Any new freestanding garage must be designed and located to complement the heritage character of the streetscape and the design of the house. They should not be located closer to the street than the house itself. 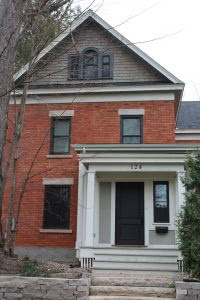 Secondary dwelling units, whether within houses, or as separate buildings in backyards (so-called “coach houses”), are not permitted in Rockcliffe Park. All houses must be sited on generally the same footprint and oriented in the same direction as the houses they replace. Terraces on the top storey of houses are not part of the heritage character of Rockcliffe Park and can have a negative impact on the privacy and the peace and quiet of neighbours. However, a terrace on the top storey of a house may be permitted if it is set back from the roof edge, if it and its fixtures – including the means of access to the terrace – are not visible from the surrounding streets, public pathways, or parks, and if it does not have a negative effect on the surrounding heritage character. 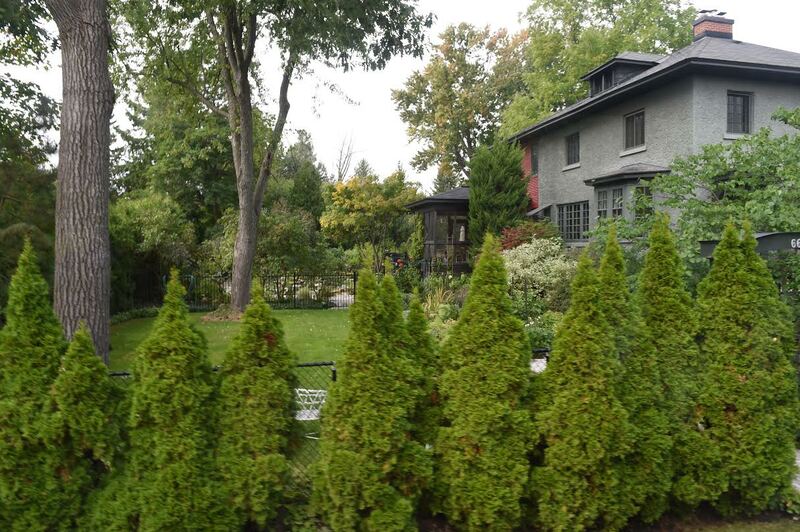 Additions and all exterior alterations to houses in Rockcliffe Park require a heritage permit from the City. The staff of the Heritage Services Section should be consulted prior to applying for a permit. Additions and exterior alterations must be compatible with the historic character of houses in the same block in terms of scale, massing, height, setback, entry level, and materials. Additions are not required to replicate the architectural style of the house. The height of an addition should not exceed that of the house. The use of natural materials is important to the heritage character of Rockcliffe Park – materials such as vinyl siding, aluminum soffits, synthetic stucco, and manufactured stone are not permitted. Modern materials such as plastic or fibreglass to replicate architectural details such as columns, balusters, or bargeboard are not permitted. If brick or stone cladding is used, it must extend to all facades of the house. New garages are to be attached to the rear of the house, not the front or side. Exceptions may be made if the new garage is set back significantly from the front façade of the house in order to reduce its impact on the streetscape. Additional rules apply to additions and alterations to Grade I houses. Refer to the Heritage Plan for more information. The conservation and enhancement of Rockcliffe Park’s distinctive landscape, including its strong tree canopy, is essential to maintaining its heritage character. The dominance of soft landscape over hard landscape must be retained, as must elements such as lawns, flower beds, glades of trees, shrubs, rocks and low stone walls, and flagstone walkways. Cedar hedges are a common feature of Rockcliffe Park – their retention is encouraged. Any landscape project must respect the established character of the streetscape. New houses and additions to existing houses must be sited on the property to respect the established landscaped character of the streetscape. The existing landscaped character of the lot must be preserved. Soft landscaping must dominate the property. Topography and existing grades, trees, pathways, and special features such as stone walls and front walks must be preserved. Artificial turf is not permitted in front and side yards. The removal of mature trees is strongly discouraged. The removal of any tree over 50 cm. in diameter is not permitted, unless a permit is granted by the city. Where a tree has to be removed to accommodate new construction, it must be replaced with a new tree of an appropriate size and species. Mature trees that succumb to age or disease should be replaced. City permission is required to plant trees on the municipal right of way (verges). The tradition of using native trees and plants is encouraged. 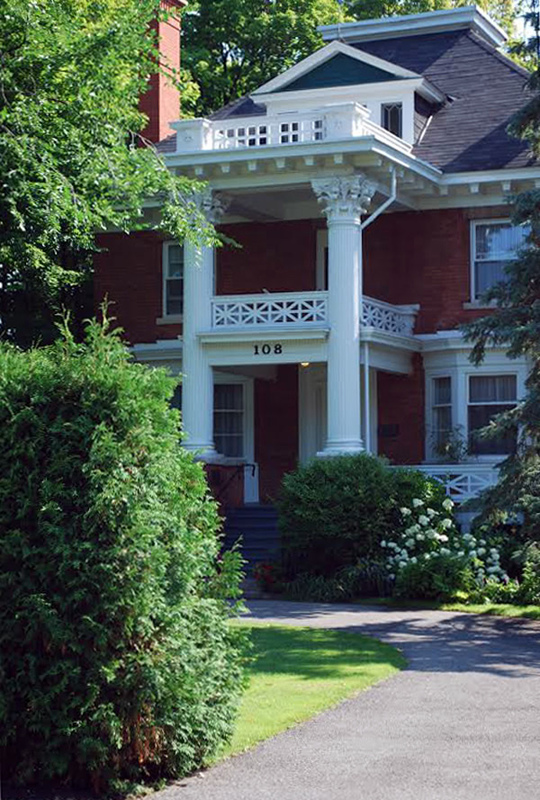 Conservation and regular maintenance of houses in Rockcliffe Park is critical to the heritage of the community. 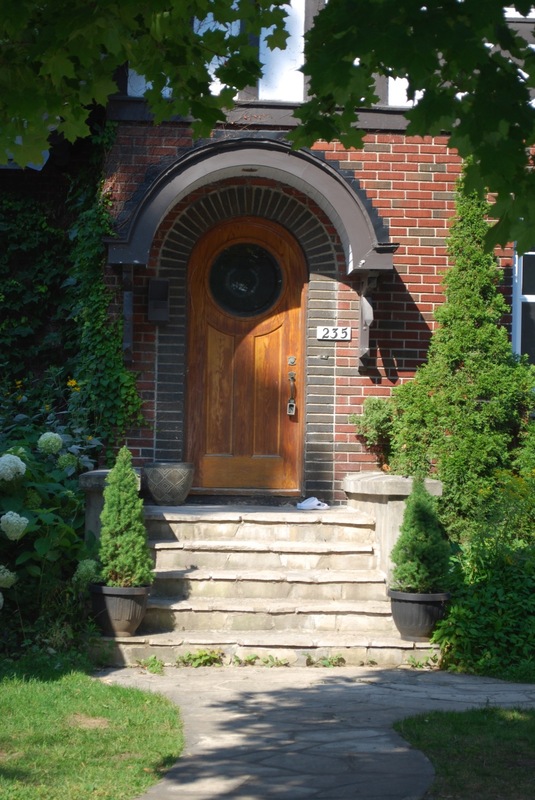 Individual property owners are responsible for complying with provisions set out in the Heritage Conservation District Plan regarding roofs and chimneys, cladding, masonry, foundations, windows, doors and entrances, verandas, porches and canopies, and decorative features. To preserve green space and the parklike character of Rockcliffe Park, driveways should be designed to minimize the amount of paving. The use of porous materials such as turfstone is encouraged. New semi-circular driveways and new supplementary driveways are not permitted. City by-laws prohibit the creation of parking pads in front or side yards or on public verges, and require a permit to widen a driveway. The zoning by-law requires a minimum 1.5 metres of green space between a driveway and the lot line and a driveway width not to exceed 3.05 metres at the lot line. The use of fences between properties has not been a feature of Rockcliffe Park for much of its history. Instead, hedges or low stone walls are part of its heritage character. The continuation of soft borders between properties is encouraged. 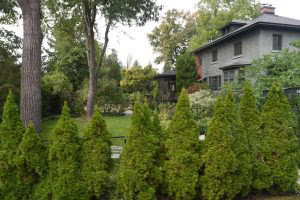 Where fences are required for safety, they must not be located in the front yard, and must comply with the City’s fence by-law that limits the height of side and back yard fences to 7 feet (213 cm.) and specifies that the finished side of the fence must face the neighbouring properties. 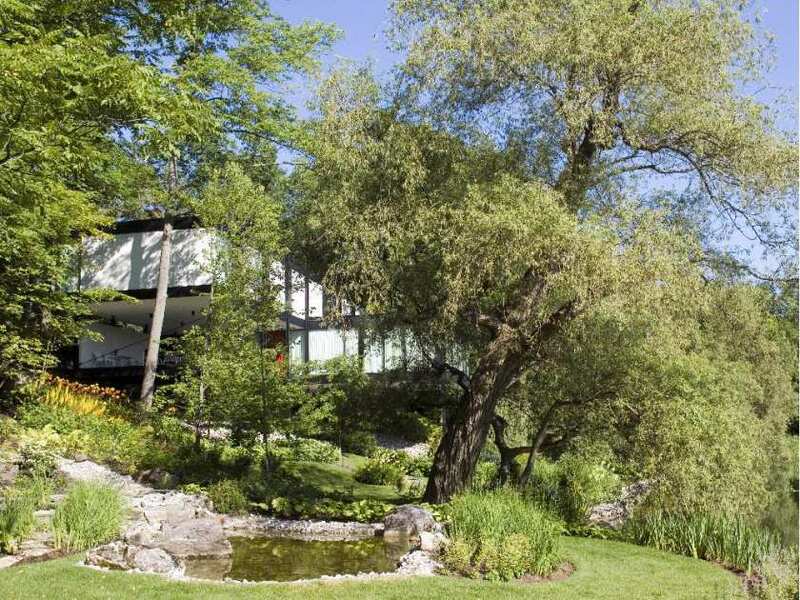 There has been a recent tendency to brightly light facades, pathways, trees and landscape features in a way that is incompatible with the heritage character of Rockcliffe Park. Exterior house lights should be limited to avoid light spillage and night sky pollution, and preferably restricted to entranceways. For the same reason, street lighting should continue to be a warm white light, and at the traditional low height and wide spacing. Equipment such as utility boxes, air conditioning units, and satellite dishes must be located in a manner that is discreet and not visible from the street. Solar panels should be located on the rear slope of the roof if possible or on a flat roof. In addition, solar panels must be installed in a manner that will not impact the heritage fabric of the building if they are removed. Existing block and street patterns cannot be altered. Road widths cannot be increased. Sidewalks are not permitted except immediately adjacent to schools and community facilities. Curbs and gutters are not permitted except where erosion on slopes or where heavy parking pressure near institutions causes repeated damage. Public pathways must be maintained with appropriate design and materials to be visually unobtrusive and environmentally sensitive.